Dayna EtherPrint-T. Make your old serial printer a network printer! 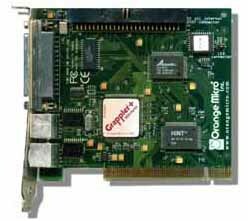 Want to put your AppleTalk Printer on your Ethernet Network. Make your old AppleTalk Printer a Network Printer. This will do that. Plug your serial printer into the port on the back and hook up your Ethernet cable to your switch or router and you are good to go. Includes External Power Supply 12V, 800 mAH. These are used tested units and work in the earlier OS versions thru OS10.4. We include the EtherPrint Administrator v3.2.1 (runs in classic mode) on Floppy. Our $29.77 price includes domestic shipping. Connect serial devices to the USB port on your Mac. The USB Twin Serial Adapter is recommended by dozens of serial device manufacturers and has been certified by Apple for use with Final Cut Pro. 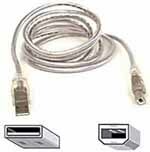 Provides two RS-232/RS-422 ports for connection to serial devices. Draws power from the USB connection -- a power adapter is not required. Has been qualified by Apple, Avid and others for connection to video decks. 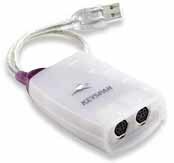 Supports use of multiple adapters on one Mac. Drivers for Mac OS 8.6-9.x, OS 10.2.8 - 10.5.x and possibly OS 10.6.x. Check Support at TrippLite.com (http://www.tripplite.com/en/products/model.cfm?txtSeriesID=849&txtModelID=3915) for compatibility. $59.77 includes shipping. Blowout price for ink cartridges. For Epson Stylus Color 680/680T/685/777/777i. 1 Black Cartridges, 1 Color Cartridges. Aftermarket product. All unopened. T017201, T018201. 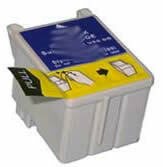 Blowout price for ink cartridges. 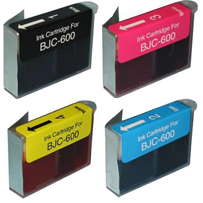 Canon BJC 600/610/620 1 ea of black, cyan, yellow and magenta cartridges. Aftermarket product. All unopened. Blowout price for ink cartridges. Stylewriter 2400/2500. 4 black cartridges, 4 color cartridges. Aftermarket product. All unopened. Blowout price for ink cartridges. BJC50, BJC-70, BJC-80. 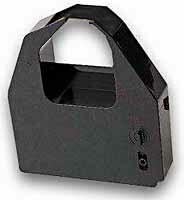 1 black cartridge, 1 color cartridge. Aftermarket product. All unopened. Color Ribbon for Imagewriter I, Imagewriter II. 2 ribbons. Aftermarket product. Unopened packages. Hp JetDirect LocalTalk Card. Adds an 8 pin din Localtalk port to an HP printer. Unknown what printer this works with. $25.00 includes postage. Back in stock! Brand New OEM Style Imagewriter ribbons. These are not Apple label. Price includes shipping.